Sophos has published its first report focused on data security, “The State of Data Security”. The report is excellent read with 25 pages packed full of information and advice. In a survey of 1,000 people in the U.K., 94% ranked “protecting personal information” as their top concern, equal to their concerns about crime, according to The Telegraph. With over 500 million U.S. records of data breaches and loss since 2005, it’s no surprise that these data loss stories are headline news. On the 20th May 2011, the PCI Council announced its new Board of Advisors. More than 600 Participating Organisations elected the Board of Advisors. Participating organisations include merchants, financial institutions and processors from around the world. The 2011-2013 PCI Board of Advisors will provide strategic and technical guidance to the PCI Security Standards Council that reflects the varied and unique industry perspectives of those across the payment chain. In addition to advising on standards development, the Board of Advisors plays a critical role in soliciting feedback and ideas, leading Special Interest Groups (SIGs); and helping the Council fulfil its mission to raise awareness and the adoption of the PCI Standards. “Industry participation is crucial to our work here at the Council. I am ecstatic to see the record number of people who were involved in this year’s election process and the breadth of experiences and perspectives that this new Board represents,” said Bob Russo, general manager, PCI Security Standards Council. “As we continue to strengthen the standards and their adoption globally, this group will play a leading role in the protection of cardholder data against security threats worldwide. In study commissioned by Juniper Networks the study found that enterprise and consumer mobile devices are being exposed to a record number of security threats. 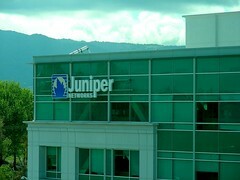 “These findings reflect a perfect storm of users who are either uneducated on or disinterested in security, downloading readily available applications from unknown and unvetted sources in the complete absence of mobile device security solutions,” said Dan Hoffman, chief mobile security evangelist at Juniper Networks. “The last 18 months have produced a non-stop barrage of newsworthy threat events, and while most had been aimed at traditional desktop computers, hackers are now setting their sights on mobile devices. Operating system consolidation and the massive and growing installed base of powerful mobile devices is tempting profit-motivated hackers to target these devices”, Jeff Wilson, principle analyst, Security at Infonetics Research. 1 in 20 mobile devices is lost or stolen, risking loss of confidential and sensitive data. 83% of teens use mobile technology to stay connected with friends and family. 20% of all teens have been cyberbullied through a mobile device. 20% of all teens admit to sending inappropriate or explicit pictures or videos of themselves from a mobile device. In its recent study, Juniper Networks uncovered some very interesting facts on the growing risk to Android base mobile devices. March 2011: Myournet/DroidDream, the first Android malware available and distributed through Android Market on a large scale, affects 50,000 users. Google’s solution, the Android Market Security Tool, was also pirated and turned into malware in China. April 2011: Walk-and-Text pirate puts egg on users’ faces. April 2011: Research at IU Bloomington results in “Soundminer” proof-of-concept communications interception application. In summary, the bad guys have see the growth of the Smartphone market and are turning their skills into the development of tools and attack vectors for the operating systems on them, including Android. Internet Identity (IID) has released their eCrime Trends Report: First Quarter 2011. The report is a summary of statistics and news items from this year’s first quarter and serves as a useful reminder of how regularly breaches occur and how easy it is to forget about the last big breach. Every month seems to have another record for the largest breach, Epsilon was usurped by Sony, who will be next? This is why quarterly reviews are so important. Phishing in Q1 2011 grew 12% over Q1 2010. “As we’ve seen with recent attacks against Sony’s PlayStation Network and Epsilon, cyber criminals now have inside information about tens of millions of customers to use in highly targeted phishing campaigns,” said IID President and CTO Rod Rasmussen. Trustwave have released a supplement to their 2011 Global Security Report on Payment Card Trends and Risks for Small Merchants report. The report states, “approximately 90% of compromises came from the Level 4 merchant space in 2010.” The PCI DSS categories a Level 4 merchants as a businesses that process less than 20,000 Visa e-commerce transactions annually, and all other merchants processing up to 1 million Visa transactions annually. Do you have written security policies and procedures that address the protection of paper with credit card numbers such as receipts and the physical security of your card processing device? Do you have a formal training program for all relevant employees that teaches them about security as it relates to credit cards, paper with credit card numbers on them and the devices that process credit card transactions? Do you or does anyone at your business log or record your customers’ credit card numbers in a computer, for example, in a back office computer, a laptop or financial application? Do you check your store or office for unauthorized wireless access points on at least a quarterly basis? Do you perform external (Internet) network vulnerability scans at least once per quarter? 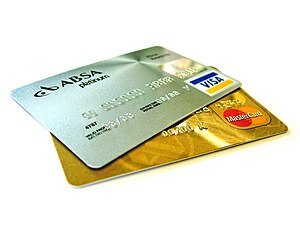 Trustwave’s Report states “Fines have averaged $5,000 to $15,000 per card brand. We see forensic investigations start in the $10,000 to $15,000 range as well. Card re-issuance and fraud loss are dependent on the size of the breach. However, fines can vary greatly depending on a number of factors and can reach into the hundreds of thousands of dollars in some cases”.